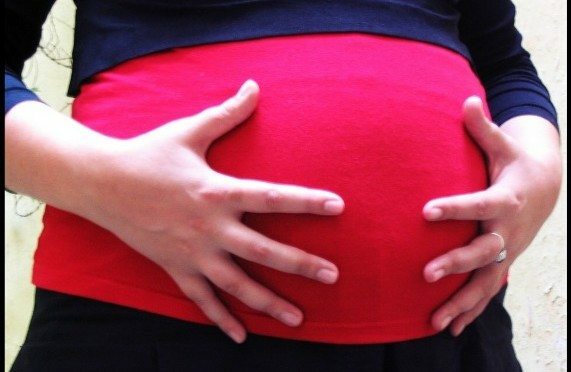 Tummy Mummy in Adoption: Survey SAYS — ! Two weeks ago I asked what you thought about the term “tummy mummy.” Boy, did you have a lot to say. Among the nearly 300 respondents, who chimed in? It was pointed out that I neglected to offer a category for first family members. I wish I’d thought to. So what did people think of the term? The remaining 9% chose “Other,” which allowed for commentary. Some responses are included below. Easier for small kids to grasp. The birthmother of my son actually referred to herself with this term. Feels like a white-wash term trying to sanitize truth. It diminishes the woman’s motherhood. Original family isn’t reflected in this phrase, which seems intent on removing all important connections and substituting them with a biological detail that isn’t even accurate. I don’t love this term either but am concerned that sometimes we as a community over-police our language. 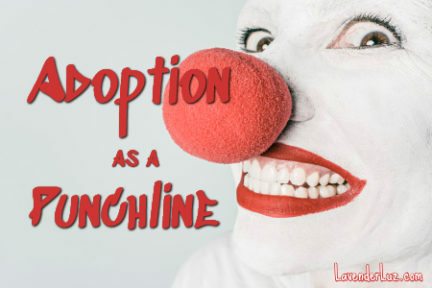 I’d much rather an adoptive parent use the term to explain adoption to very young children than to wait to talk about adoption until the children are older. I hate “tummy mommy.” When people told me babies grew in their moms’ tummies, I pictured babies swimming their stomachs with all the food. And babies popping out of tummies, Aliens-style. It sounds a little too cutesy, a little too flip to describe such an important role. I don’t love it but can see how it could be useful. My son’s birth mom wants to be called Auntie. He has lots of friends who are Auntie and I have no sisters. This may lead to confusion too. But like tummy mommy or birth mom, we’ll have to discuss the meaning of the term. I don’t like the language police because it’s inherently condescending. Offering other possibilities and points of view is great. I learn from that. 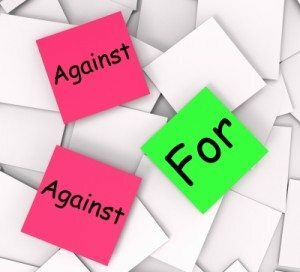 Assuming that there is one right or best way says “I know what’s best and you don’t.” What’s best and right depends on many factors. My husband is a reunited adult adoptee. I actually shared this with him and he made a vomiting noise. I really think all of this is contextual and depends on the norms in the relationship. At some point, his birth mom and I will have to talk and figure out what’s best…It’s happening because so many people who love him are in his life and we all want him and his (broadly defined) family to be healthy and whole. I do think there is a time and place for this term to be used. I have used it with my preschool aged children to help them gain a better understanding of why their birth mom is their mom. My children had multiple placements and thus multiple “mommies,” so this was one way to help explain why not all women are their “mommy”. At the time, my children also saw someone close to us pregnant, so they could physically see a growing tummy. I certainly did not use the term as a means to diminish the role of their birth mom, but I think it did help my children gain a better understanding of one of the roles their birth mom has played in their lives. I love the term. We will use it when explaining to our young daughters about their story as we loving tell them they grew in our hearts and birth mom’s tummy. I think it is up to the birth mother and adoptive mother to decide for themselves how they feel about it [said by someone who is also an adopting/adoptive parent]. “Tummy mommy” is something a two or three year old who wants to know more can understand. Later you can grapple with the correct anatomy and correct terminology. I would never use “first mother” because she was never a mother to me. In my opinion, young children are not given enough credit for understanding that we can have two mothers that love us, regardless if one can’t be there at the moment. I know for me personally it would have helped me tremendously to have been able to see and talk freely about my mother as this real person. Don’t care for it. Feel the attempted endearment seems forceful on a young mind. Use clinical/accepted terms, and let the adoptee define the relationship from there. But I suppose if “tummy mummy” was being used sensitively and with love to explain a difficult concept to an adopted child I could see its beauty. I think it’s a little too twee in general what with all the emotions/etc. that go into an adoption. But I acknowledge that other people may feel differently, and if it’s what works for that particular situation it’s what works. Small children associate the word “tummy” with digestion. As far as they are concerned, it’s where food goes after it’s eaten. If they eat too much, or eat something that is not good, they get a “tummy ache”. That alone could be cause for confusion. I speak from experience, having been flummoxed by this when I was a child….OTOH, I don’t have a hate-on for people who use the term ignorantly, but with good intentions. Note: The reason there are so many adoptive parent responses highlighted here is because there were so many adoptive parent responses to choose from. The reason there are no birth parent responses highlighted here is because there were no self-identified birth/first parents who left responses (at least that I could tell). * These thoughts on titles makes me realize that for all the energy we put into arguing them, the adoptee eventually decides what works for him/her. What’s your takeaway from these results? Is there anything surprising to you? Tummy Mummy: What’s Your Opinion on the Title? On a recent open adoption advice post, the term “tummy mummy” came up in the comments section. I admit, there was a day when I would have embraced that phrase as a term of endearment for the then-unknown women who would make me a mom. And I will also say that neither of those women would oppose the use of the term. But since that day, I have immersed myself in Adoption Culture. Or at least I’ve tried to learn as much about Adoption Culture as a single person can (seeing as how it’s a huge an amorphous thing that a person can pursue but not ever attain). I’ve learned that some don’t like the term — either because it is anatomically inaccurate or it is reductive of the first mom. And I’ve also learned that some adore the term. This short poll asks your opinion on the term, as well as your position in the adoption constellation (if you have one). Unfortunately, the rudimentary tool I’m using is not capable of determining if there is a correlation between the two. Please take a moment to chime in, and share this post with your adoption-related communities and friends so we get a decent-sized sample. If you have strong thoughts about “tummy mummy,” please explain in the comment section of this post. This way your opinions will remain available here no matter what happens to the poll site. As always, please be respectful of others’ opinions, viewpoints and reasoning as you state your own.